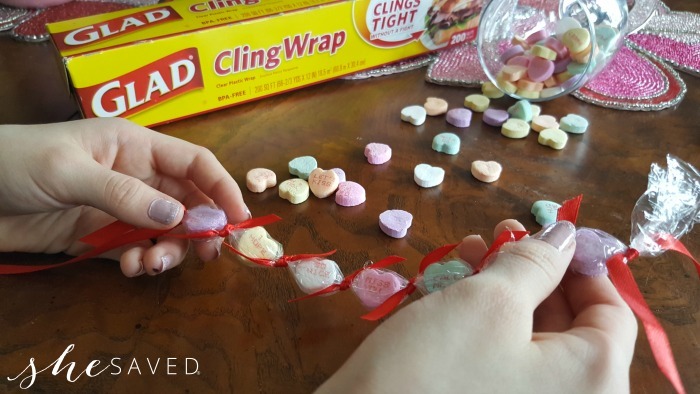 My daughter and I love to craft and create together, so when she came up with these cute DIY Valentine Candy Heart Bracelets we thought it would be really fun to share a how-to with all of you! 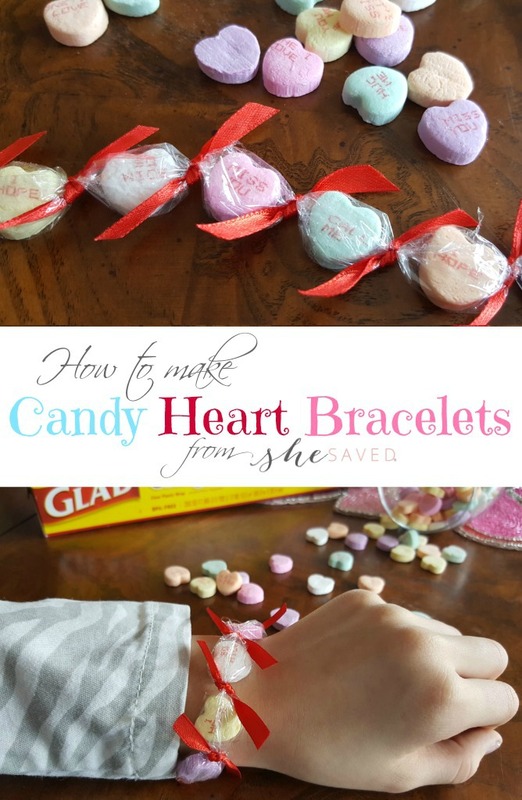 These candy heart bracelets are SUPER simple and you only need a few supplies which also makes this is a really fun idea for Valentine’s Day classroom parties or even birthday parties! 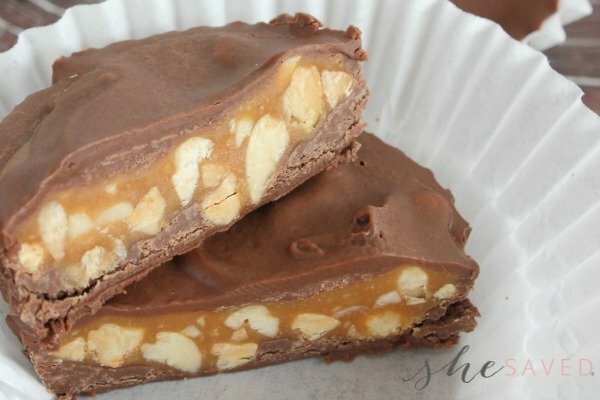 The best part about this Valentine project is that it’s SO easy. You basically just tear (or cut) off short strips (appox. 2″ wide) of Cling Wrap. We use a 12″ roll for bracelets. 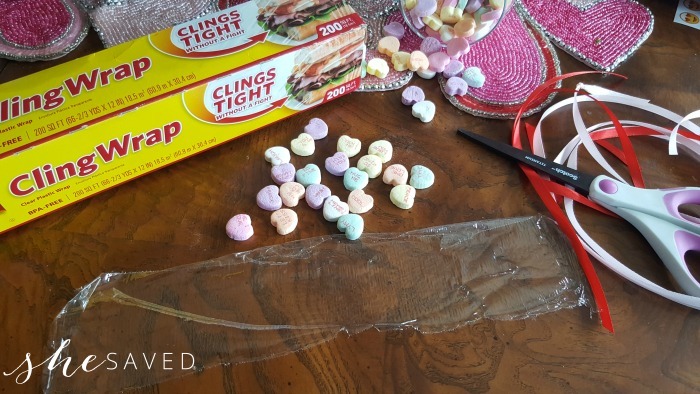 Now, line up your candy hearts along the Cling Wrap strip. 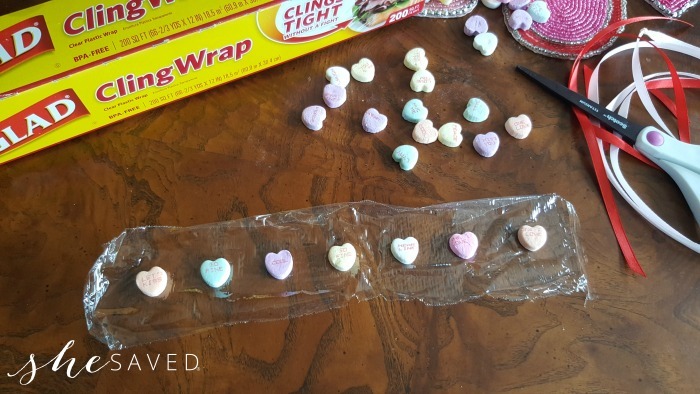 Next, fold the Cling Wrap over the candy hearts. Don’t worry about it being perfect as you are going to tie things in place anyway. 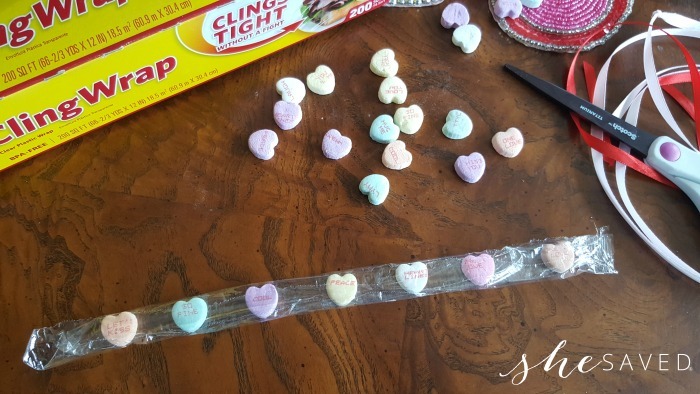 Start tying ribbon between each candy heart. We usually start after the first candy heart (as shown below) because the ends are a bit trickier and you will also want to leave the ribbon on the ends a bit longer so that you can use that ribbon to tie your bracelet around your wrist. Aren’t these the cutest? 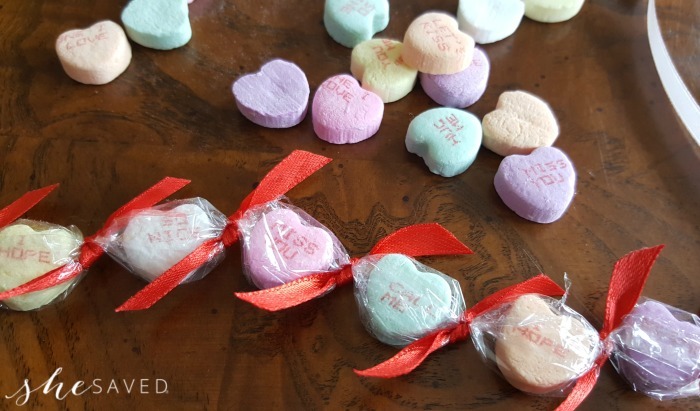 Simple for little hands, this DIY Valentine Candy Heart Bracelets project might also even be a great one for working on fine motor skills for young kids and preschoolers and this project could easily be adjust up or down, depending on the age level that you are working with. So fun, right? 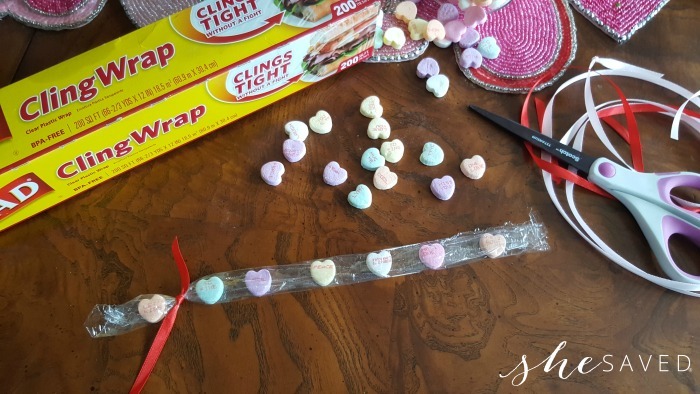 I hope that you enjoy making these fun Valentine’s Day Candy Heart Bracelets with YOUR little sweeties! This is really cute, and I love that your daughter helps with the video!